Don't worry about the UFOs flying over the nation's capital. At least, don't worry too much. The blinking lights that zipped across DC's skies between 1am and 4am recently were drones flown by the Secret Service. The president's guard is testing these small aircraft to figure out ways to knock them out of the sky. It makes total sense. 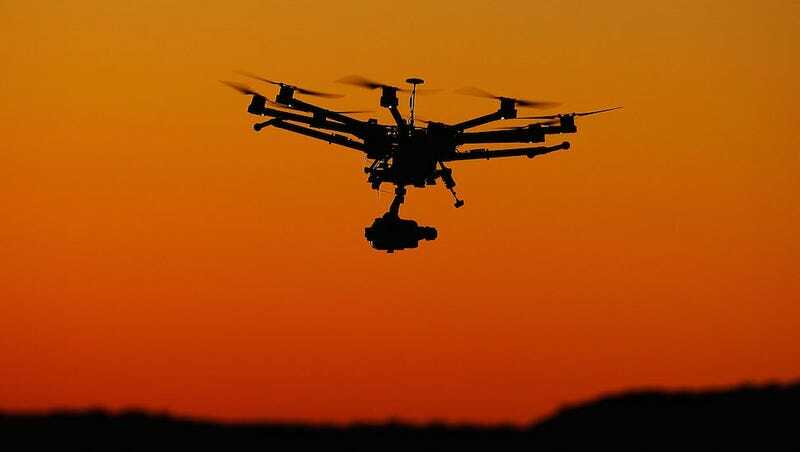 The Secret Service is understandably nervous about drones flying over Washington, not just because a drunk government employee crashed a DJI Phantom into the White House lawn a few weeks ago, but also because of mysterious drone sightings over Paris recently. And so in a classified operation, the Secret Service will be testing drones in DC and—more importantly—testing ways to make them fall out of the sky or fly the other way. All that said, the Associated Press reports that the Secret Service's drone-jamming experiments could have unintended effects on nearby networks. One easy way around this, the Electronic Frontier Foundation told the AP, would be to put a big net over the White House. It's unclear if they're being serious. Either way, if you're out late in DC over the next few weeks keep your eyes peeled—and your phone ready.